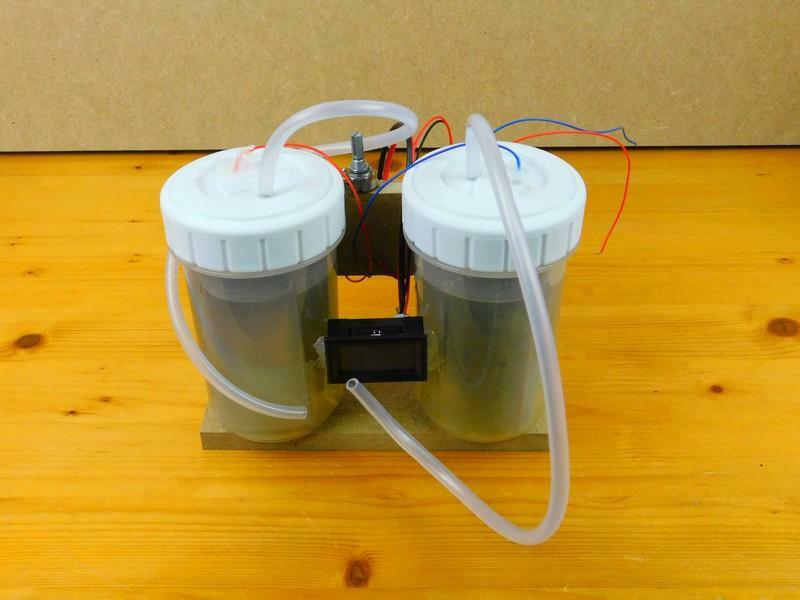 Use an AT PC power supply, a constant current source, and an electrolysis setup to make your own HHO generator. 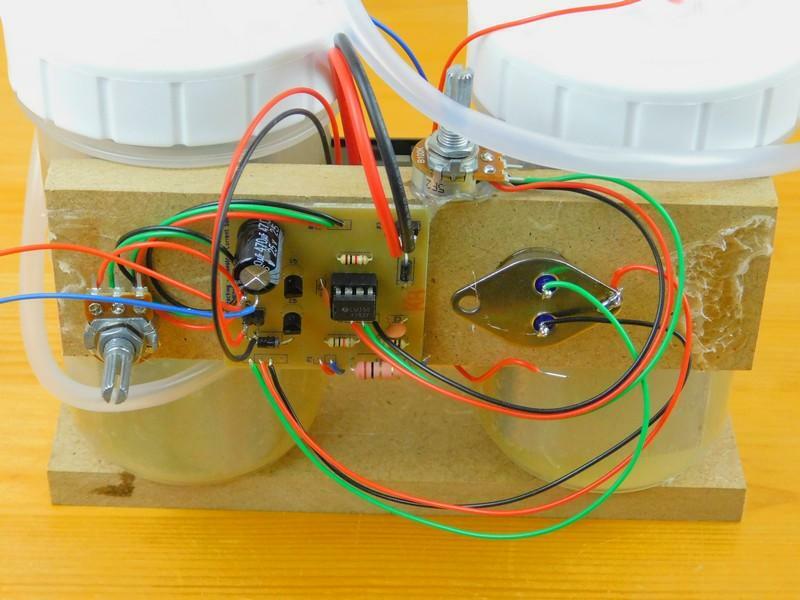 The HHO generator is made up of three main components: an AT PC power supply, a constant current source (see the constant current source DIY Hacking project), and an HHO Generator electrolysis setup. The AT PC power supply is necessary because it’s able to supply large amounts of power easily — for example, the 12V rail can supply up to 10A. But to get the AT power supply to function, the black and green wire on the motherboard connector need to be connected. It is best to take these wires and connect them to a switch that will allow you to turn the power on and off easily. 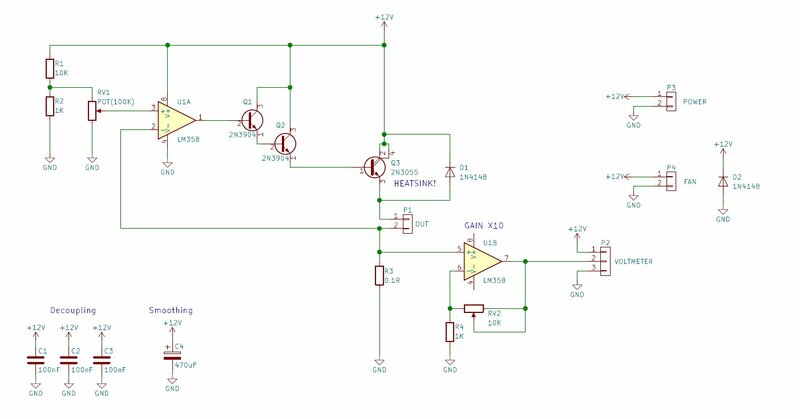 The constant current source circuit uses a single LM358 and various other components to create an output whose current can be controlled via the POT RV1. To know the current setting, the voltage drop across the resistor R3 is amplified by U2A and then fed to a voltmeter. The last component in this project is the electrolysis setup. This consists of stainless steel plates submerged in a solution of sodium hydroxide with the positive and negative plates being separated using two tanks. The plates that are connected to the positive supply from the constant current source form oxygen, while the negative plate forms hydrogen. 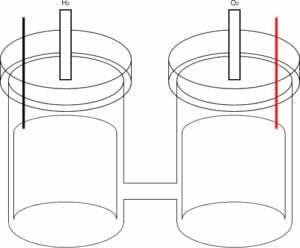 In order for the electrolysis to work, both plates must be in the same liquid, and so to achieve this, a small piece of plastic tubing connects the two tanks together. Many HHO designs use a single tank with a hydrogen–oxygen mix output. While this gas makes for a great fuel, it is, in fact, very dangerous, and such setups cannot have their gas lines ignited, because blowback will most likely occur and result in a detonation in the tank itself. In this design, hydrogen and oxygen are generated separately, and thus neither tank will explode, since blowback is impossible. First, the oxygen tank produces oxygen, which is not combustible (it's an oxidizer), and second, the hydrogen tank makes pure hydrogen, which only ignites in the presence of oxygen. If there is no oxygen in the tank or outgoing pipe, the hydrogen can never ignite. This means that the hydrogen line can, in theory, be safely burned without the risk of blowback. However, EXERCISE CAUTION, and only attempt such a project if you are aware of the risks and accept full responsibility for whatever may happen. USE OF ANY OF THE INFORMATION PROVIDED WITHIN THE DIY HACKING FORUMS OR DIY HACKING SITE IS ENTIRELY AT YOUR OWN RISK. THE INFORMATION CONTAINED WITHIN THE ALL ABOUT CIRCUITS FORUM AND ALL ABOUT CIRCUITS SITE IS "AS-IS" WITHOUT ANY WARRANTY OR GUARANTEE OF ANY KIND. 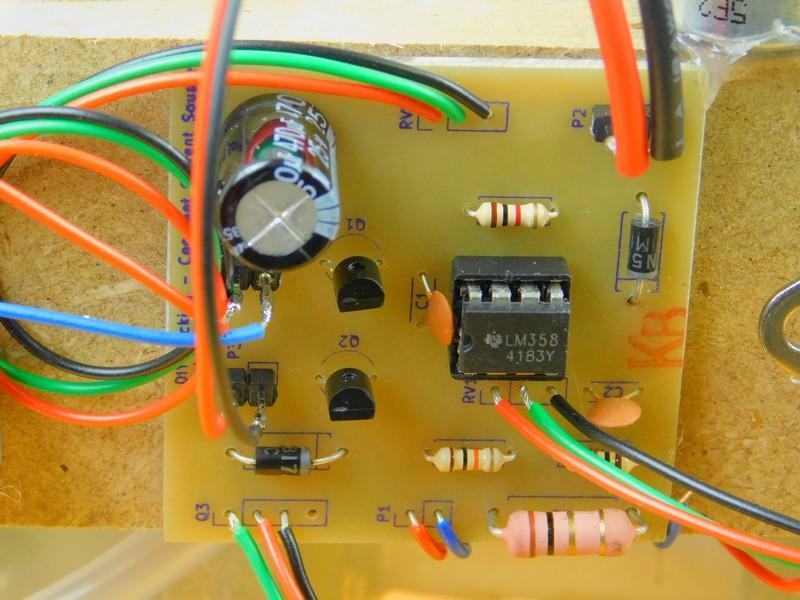 The circuit board for this project can be built using most circuit construction techniques including stripboard, matrix board, breadboard, and PCB. In this project, I used a PCB for the sake of convenience and the current demands of the HHO generator. The HHO generator itself is rather easy to make with the two tanks having a few drill holes and a small piece of plastic tubing to keep them connected via the electrolyte. The connecting tube has two-part epoxy acting as a seal so the unit does not leak during operation. Making Your Own PCBs: To Mill or to Etch? Graduated from the University Of Warwick in Electronics with a BEng 2:1 and currently runs MitchElectronics.